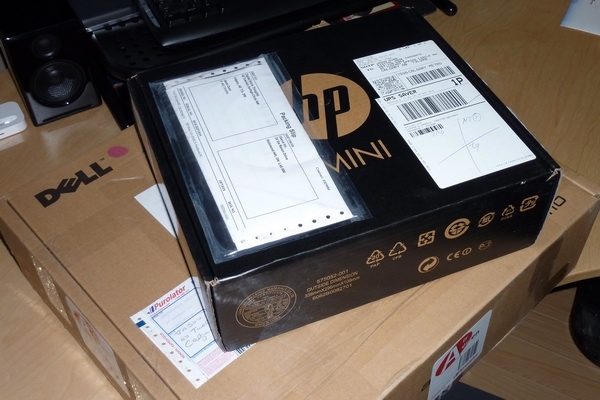 On top we have the HP Mini 110, and on the bottom we have a Dell Adamo - both delivered by UPS today. I think I'm more excited about the HP Mini 110 (known as the Mini 1100 in Canada) to be honest, because I'm a big fan of the HP Mini 1000 and this is supposed to be a refind version of that. The Dell Adamo is going to look great, but given the hardware specs it has, I'm not sure how well it's going to perform. I guess we'll see!